"I Only Kiss My Pony" and kissing lips graphic accent. Black shirt with hot pink graphic. 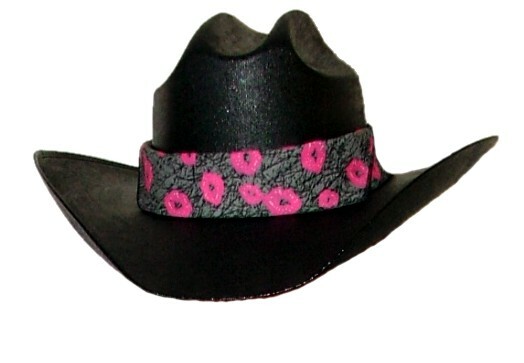 Perfectly complete the look with our black canvas cowgirl hat styled with a Pistol Jane hot pink lips bandana. Super cute--truly a perfect match!